The ADJ Ultra Bar 10 Plus Pak (Item#ULT105) is a low profile LED Linear fixture kit with two Ultra Bar 10 Plus LED Bars, a deluxe padded bag and an IR wireless remote. 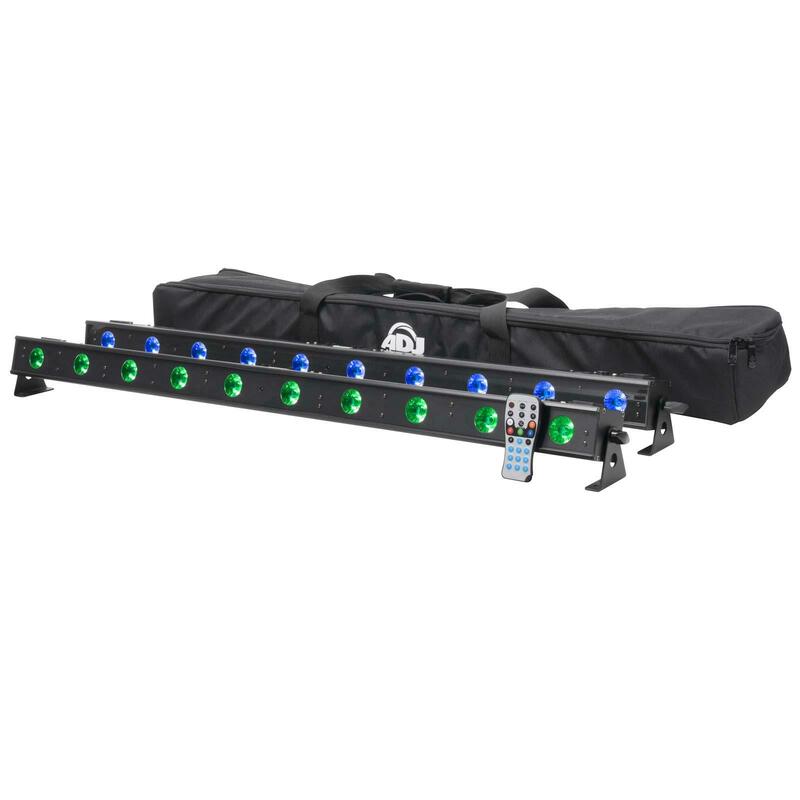 The LED Bars feature ten 4-Watt, 4-IN1 LED (red, green, blue and UV), adjustable hanging brackets, and a 4-button DMX display. 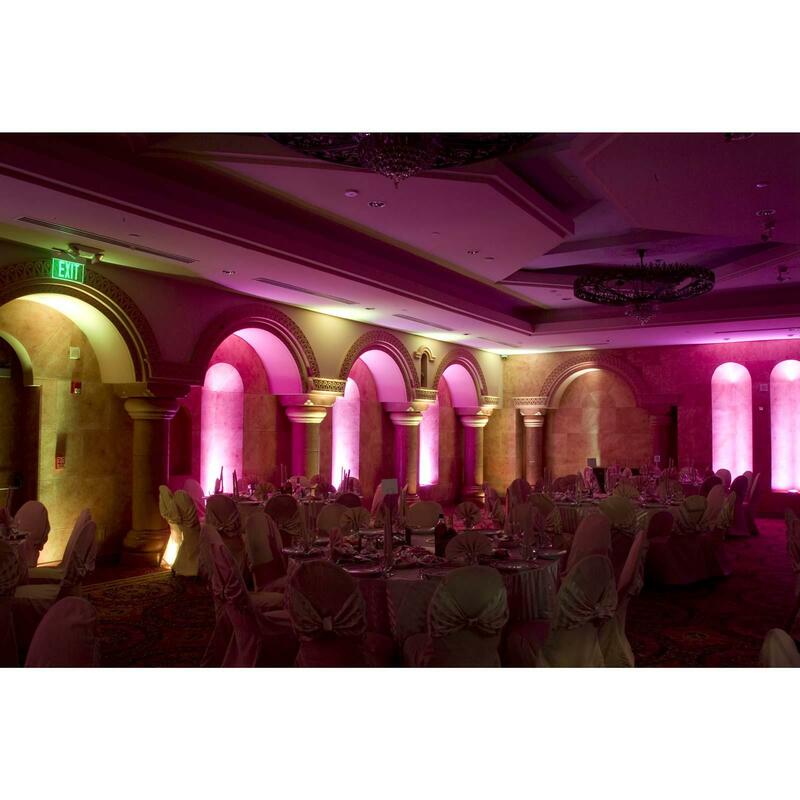 The Ultra Bar 10 Plus is designed for linear uplighting and stage lighting, and will bring color and excitement to any party. The Ultra Bar 10 Plus offers smooth RGB+UV Color Mixing, have a 40-degree beam angle, 64 built-in color macros, 5 operational modes (including DMX, Sound Active and auto run), and has 5 DMX Channel modes for a variety of programming options. Users can also use the included ADJ LED RC2 IR wireless remote to change colors and functions of the LED Bars. • Weight: 5.5 lbs./ 2.51 kg.